A recent decision of the Italian supreme court, the Corte di Cassazione, is of great interest. The court, in dismissing the appeal of an administrator of a condominium, affirming that the affixing a list of defaulting condomini to the condominium’s elevator was tantamount to defamation. This confirmed the earlier sentence of the Court of Messina. The Corte di Cassazione declared that such a method of communication makes a potential indeterminate amount of persons, whether condomini or not, aware of the debts of other persons. In particular, if the interest of administrator was to publicise the fact that the consequence of a condomini’s default would be the suspension of the service, an announcement to that effect would have been sufficient. Incidentally, the Italian Garante della privacy(the authority responsible for data protection matters in Italy)expressed an analogous principle in its advice dated 26 May 2006. 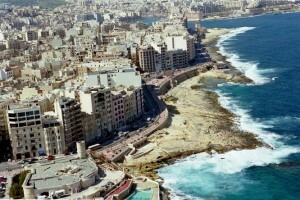 In terms of Maltese law, the Condominium Act (Cap. 398, Laws of Malta) requires every condominium having four or more condomini to appoint an administrator. The administrator must administer the condominium and ensure observance of the condominium rules – including the apportionment of costs and expenses necessary for the preservation, maintenance,ordinary and extraordinary repairs, for the enjoyment of the common parts, for the rendering of services in the common interest and for the alterations agreed upon by the condomini. Unless otherwise approved, any costs are to be divided between the condomini in proportion to the value of the property of each condominus. It is the condominium administrator who is generally tasked with the collection of such dues and, it is common practice that a list is affixed in the condominium’s common areas to announce that certain condomini’s share of costs and expenses are still due. The Corte di Cassazione’s decision has no direct legal impact on Maltese law. However, this pronouncement should prompt condominium administrators to re-consider a practice that they may take for granted and, instead, seek measures other than disclosing the identity of defaulters in a space to which other condomini and the public may have access. Our Criminal Code (Cap. 9, Laws of Malta), in terms of article 252, imposes a penalty of imprisonment for up to three months or a fine (multa) for anyone who, with intent to destroy or damage the reputation of the victim, offends a person by words, gestures, writings, drawings or in any other manner. Where the offence is committed by means of writings, effigies or drawings, divulged or exhibited in public, the offender will be liable to an aggravated penalty of imprisonment for up to one year. Of course, whether the condominium administrator had the intent to destroy or damage the reputation of the defaulting condomini is a matter of evidence brought to convince the court. Condominium administrators should, therefore, take note of such a pronouncement and take measures to avoid being exposed to the risks of such action by those condomini who feel that their reputation has been damaged or destroyed by the publication of the fact that they have defaulted in their condominium payments. The judgement is dated 18 September 2007 with number 35543.